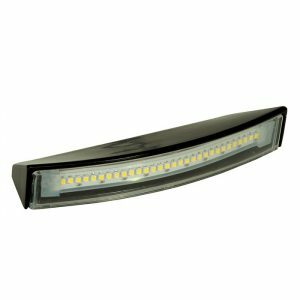 NOSEEEM Lights are a mere 5/16″ high and have a unique design geometry that hides where the light is coming from. 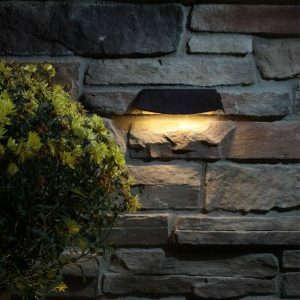 The lights are great for lighting under stair treads, under capstones, under deck railings, or even to light up a truck bed. The NOSEEEM outdoor kit comes with a 36 watt waterproof transformer. Why do we call them NOSEEEM Lights? Because of their incredibly small height – a mere 5/16″ – and their unique design geometry that hides where the light is coming from. 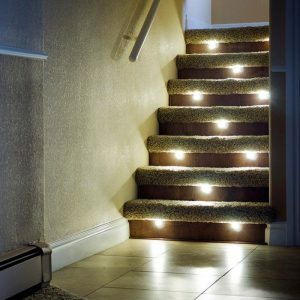 They are designed to illuminate but not be seen. 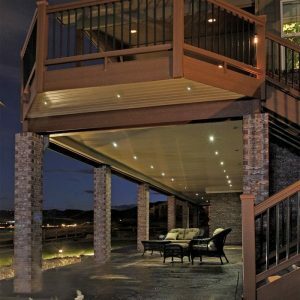 NOSEEEM lights are perfect for lighting under stair treads, under capstones, under deck railings, or even to light up a truck bed – anywhere you want a low profile light with extraordinary light output. Each NOSEEEM light strip is 20 1/4″ in length, 1/2″ wide and only 5/16″ high (20.25″x.5″x .3125). Pig tail connect is 6 inches long on each end. 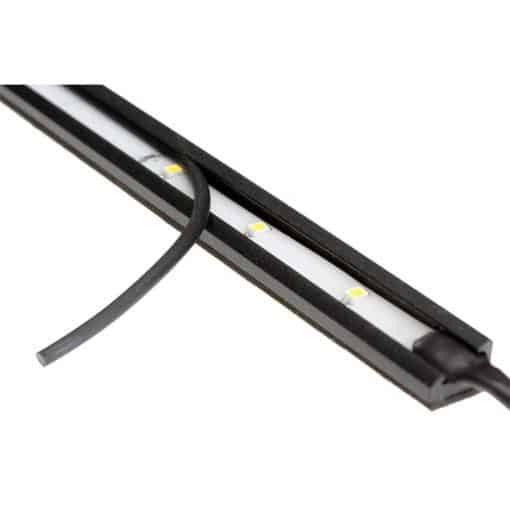 The light is completely waterproof, robust in strength, and built for the toughest environments. 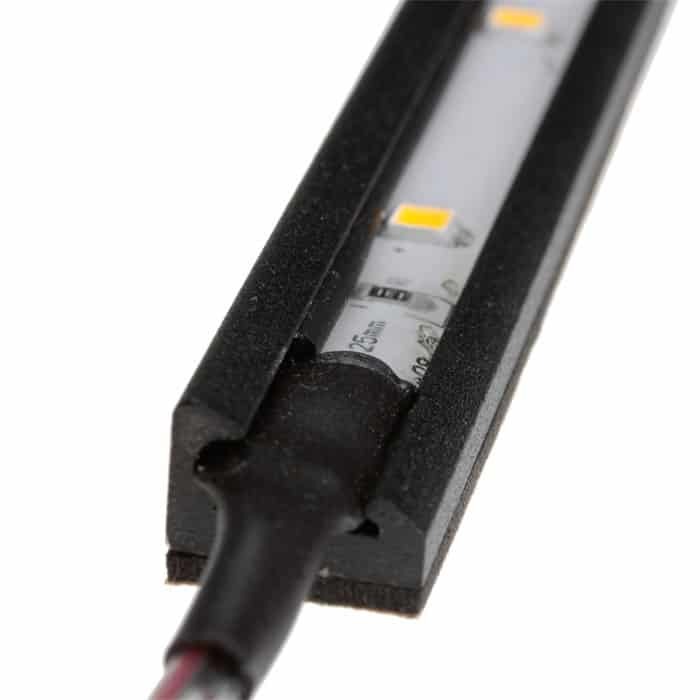 The actual light strip is built with CREE LEDs and is housed in a powder-coated aluminum mounting extrusion that adds structural support to the light. 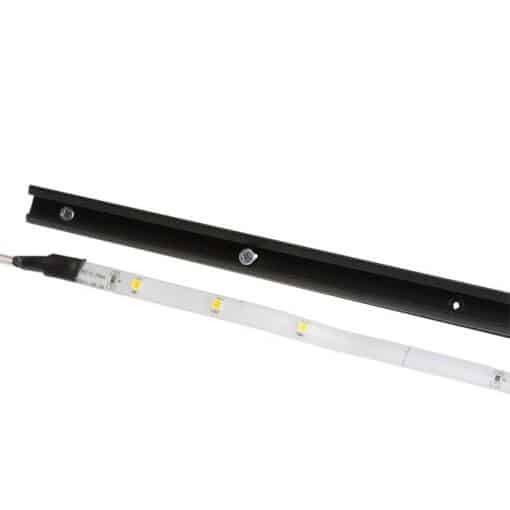 The lights also use our Plug-N-Play connector system. 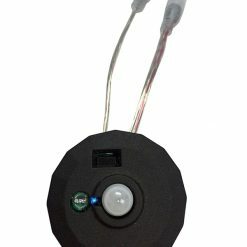 You can run multiple lights in series via male to female Plug-N-Play connectors. 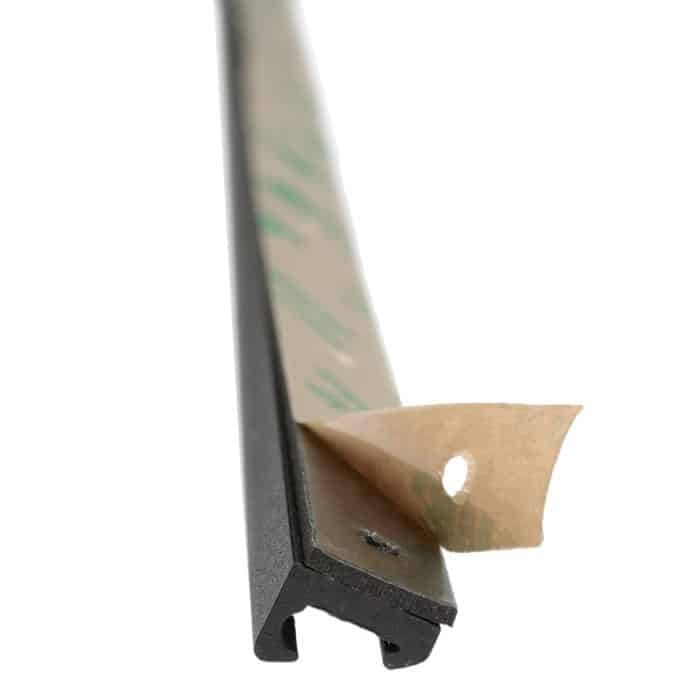 Individual lights can be cut at predefined lengths if you need a shorter length. Of course, you lose the ability to run multiple lights in series from the end of a cut light. 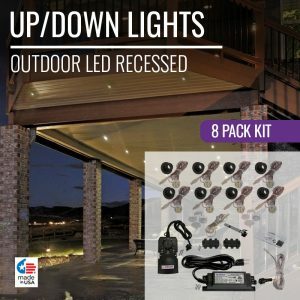 The Outdoor NOSEEEM Light Kit includes 4 NOSEEUM Lights, a 36 watt waterproof transformer, photocell timer, mounting hardware, and instructions. 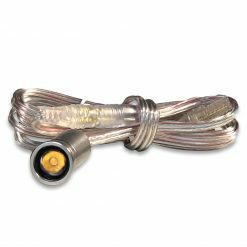 The transformer in the kit supports up to 24 lights. 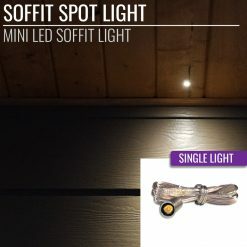 You can purchase additional NOSEEEM lights individually. Outdoor Plug-N-Play style connectors. Pig tail connect is 6 inches long on each end. 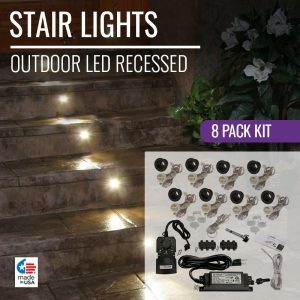 The power supply / transformer included with this kit supports up to THIRTY (30) NOSEEEM Lights. 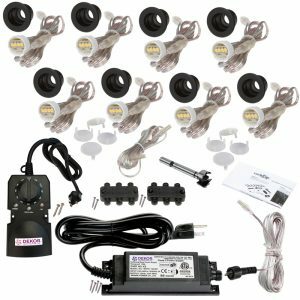 If you are ordering additional NOSEEEM or other DEKOR® lights with your kit, you can select an upgrade your transformer when you purchase online. 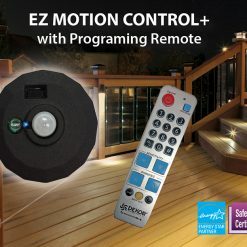 Download NO SEE EM Installation Guide Indoor Outdoor Instructions as a PDF.